Whether you’re remodeling your kitchen, sprucing up your bathroom or redesigning your office, Macadam Floor and Design carries the high-quality countertop products you need to make your improvement project a success. Visit our Design Center at 6655 SW Macadam Ave in Portland, Oregon to discuss your countertop installation requirements with our knowledgeable staff, or call us today at 503-246-9800 to learn more about the brands we sell. Granite – Durable and timeless, granite countertops exude natural beauty, making them perfect for use in homes and businesses. Laminate – An affordable and low-maintenance countertop option, laminate is the material of choice for busy households. Limestone – After a one-of-a-kind appearance? Limestone is a natural stone, which means that no two slabs look exactly alike. Marble – Like Limestone, each marble stone offers a unique look. Since it’s a softer than other countertop choices, it’s best used in bathrooms, offices and bedrooms. 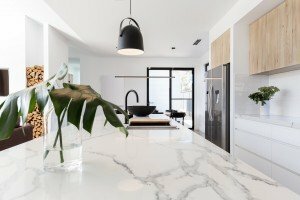 Natural Stone Slab – Choose from a wide variety of natural stone slabs, which combine form and function to meet your countertop needs. Slate – By nature, slate is moisture- and bacteria-resistant, making it a great choice for kitchens and even bathrooms and outdoor use. Solid Surface Slab – Made from acrylic and polyester resins, these high-performance countertops resist scratching and are environmentally friendly. Tile – A cost-effective and timeless option, tile countertops are highly durable and often used in kitchens and bathrooms. Travertine – Pining for an earthy aesthetic? Seek out travertine countertops. This long-lasting, environmentally friendly option looks great in kitchens, bathrooms and offices. Ready to start your kitchen, bathroom or office overhaul? 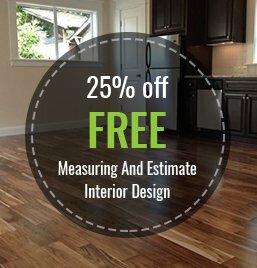 Request a free estimate from Macadam Floor and Design. Also, be sure to ask about our free counter samples, so you can compare products with your surroundings.